BirthRecordsLocator.com will save you TONS of time! Most of the government sites do not list all the relevant information on a single page. The result is having to click way too many links just find the contact information (and maps) for all the vital records offices across the United States. To find the correct office for your city or town, simply click a state link on the right side of this page and then click the link for the county office you are looking for. You are 2 clicks away from any vital records office in the entire USA! 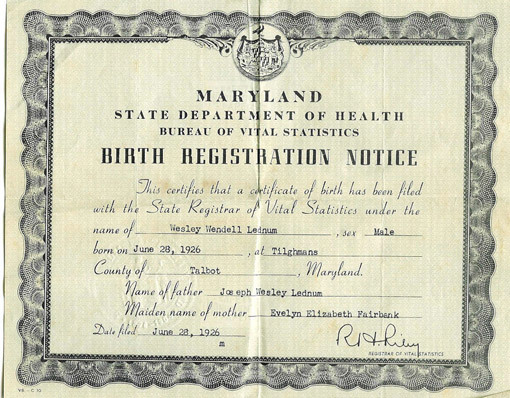 What exactly are Birth Records? Need an Official Birth Certificate? Are you trying to get a passport or other government issued document that requires you present a official birth certificate? You can contact the vital records office in the county in which you were born. Many have walk-in services. Or you can request a birth certificate replacement online. In most states, only the immediate family members are eligible to request the official birth certificate of an individual. Everyone else, including genealogists and those researching their family histories, can access the online index by using the form at the top of this page. If you're researching your family tree, you've found the right place! We built this website because we know how amazing it is to discover your ancestors and the amazing stories they have, and we wanted all the contact information for the county clerks across the United States on a simple, easy-to-use site. Here is a great video that I came across that explains why you would want to research your family tree in a simple and easy way.